Accessorise your look with these simple yet classic stud earrings that are sure to add a modern feel to any look making them a great addition to your jewellery collection. 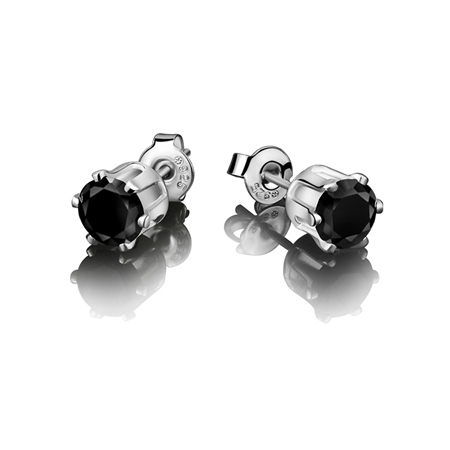 Silver plated earrings with a protective anti tarnish layer, black stone settings, titanium posts, butterfly backs, presented in a Newbridge Silverware gift box. Product dimensions 9mm x 17mm x 5mm. For hygiene reasons earrings cannot be exchanged.